In What Sequence Should You Apply Night Time Skin Products? To get the most out of your nighttime skin care regime, you must be using the right products and apply them in the right sequence. This will give you the greatest results to generate the most enhancement with your skin while you are sleeping in the evening. Consequently, the term beauty sleep was called that for a reason. Subsequently, once you wash your face, you have a minute to then apply your toner on before moisture evaporation commences. 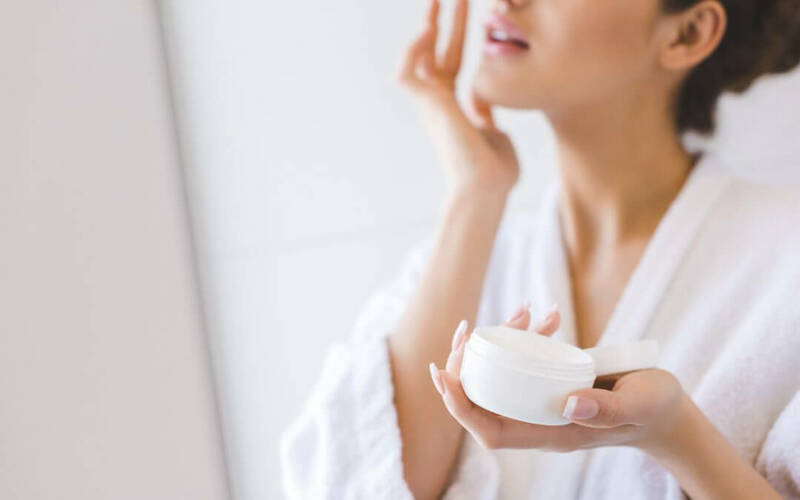 Your nighttime skin care regime is all about improving your skin while your morning routine is mainly about shielding your skin from the environment. Are you remorseful of getting lazy at night and not tending to your skin care regime? Try to do it a bit earlier in the evening, before you start getting tired and just after the sun starts to go down. Never miss using moisturizer at night with the idea that your skin needs to “breathe”. Your skin does not contain a respiratory system so this is not true. In addition, neglecting moisturizer will cause water loss for your skin cells, which is not good. Facial oils are not recommended to use in the morning. This is to put off meddling with the daytime shielding you require from your sunscreen. Skin oils in their natural form might liquify your sunscreen during the day, like the way that your natural oils do this. To remove face makeup during your nighttime skin care routine, it is advised to use a cleansing lotion as it does a great job with accurately removing makeup. It is suggested to cleanse your skin since your skin has secreted sebum (oil). In addition, many people have the habit of touching their face a lot during the day, which allows for bacteria to form on your face. In fact, our face is actually considered the dirtiest part of our whole body. Apply and wipe the toner all over your whole face and neck evenly. The toner will give off a shiny glow to your skin. In addition, leave it damp and don’t let it dry! and instantly move forward to the next step. If you want to amplify the results from your nighttime skin care routine, using a specific serum at night will do your skin justice. Since your skin’s absorbency is increased at night and serums have a tiny molecule to infiltrate through the cell membrane, you ultimately should be using one. In addition, you should get one that is reputable and that contains ingredient-focused skin care brands. Evidently, they should have beneficial percentages of active ingredients to generate effective transformations with your skin. Lastly, it is best to apply the serum and let it sit for about 1 minute prior to applying moisturizer. Now whether there is really such thing as a “night cream” as some companies like to endorse, well that is unclear. But as it is commonly known by skin care experts, a moisturizer for nighttime use is essentially one that doesn’t entail sunscreen. They don’t have to be greasy o (it’s an allegory that the heavier it is the more effective it is for wrinkles) but it does need to be for your particular skin type. Use the same method you would in the morning by wiping away the spot you want to treat before applying your preferred blemish treatment. Night time spot lotion is a powerful one to utilize while you are sleeping. For people with dry skin types and for those in climates with low humidity, a skin oil can be a beneficial way to offer a shielding cover over the skin to steer clear of moisture fading. It’s crucial that you use a facial oil in this specific sequence in your skin care regime and not before.